Following up on its 88 Racer running model, Jordan Brand is now gearing up to launch the Jordan 89 Racer. 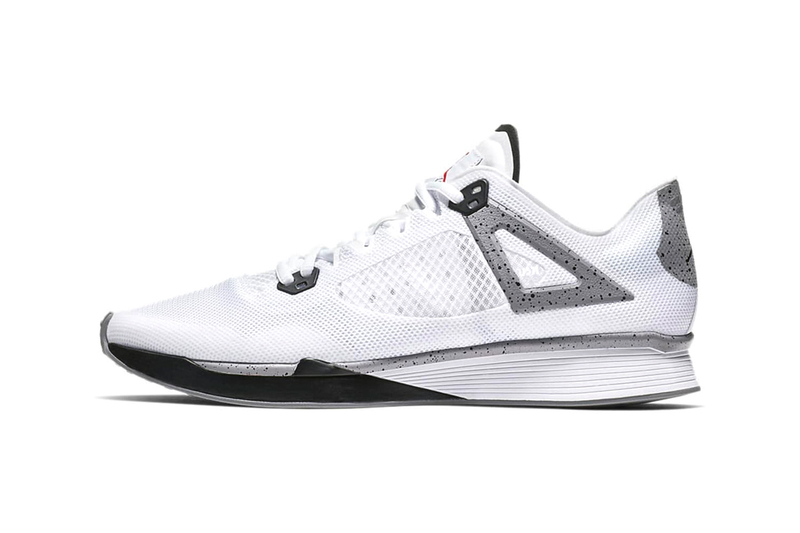 Ahead of the release, we now have imagery of a Jordan 89 Racer “White Cement” based on the popular Air Jordan 4 look. The reminiscent colorway sees the runner’s seamless upper done in pure white and dressed with a Jumpman tongue tag, mesh window, cement print lace tabs and heel tabs. Rounding up the design is a midsole and outsole system borrowed and retooled from the Nike Flyknit Racer. For more Jordan Brand, the Air Jordan 12 “Gym Red” continues the all-red trend. Six festive tracks featuring Santigold, Ryan Beatty and Jerry Paper. Offering an intimate look at the artist’s life. Fresh hybrids arriving this month. Start your morning on a sour note. The collaborative project includes one feature from Rob Vicious.